Here is a beautiful SevenVG R2 theme for Windows XP users by Vishal Gupta. 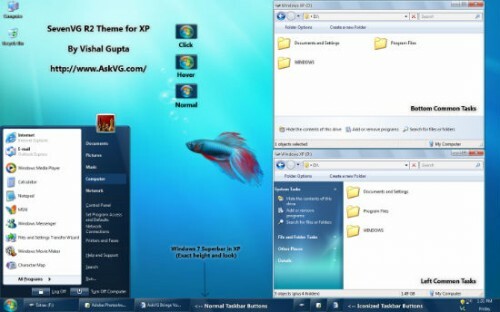 This theme will give a look of Windows 7 to Windows XP OS. SevenVG R2 is an update over previous SevenVG Refresh theme.